About us - Παπαδημητρίου Α.Β.Ε.Ε. - Παπαδημητρίου Α.Β.Ε.Ε. Papadimitriou S.A. is a family-run business based in Thessaloniki, which counts 40 years of experience. Our object is the import, export, marketing, representation, production and process of spices, aromatic plants, raw materials for the food industry and especially for the meat processing industry. With respect and love for the industry, we ensure the quality of our products and we are evolving, focusing basically on exploring and satisfying the needs of the food industry. 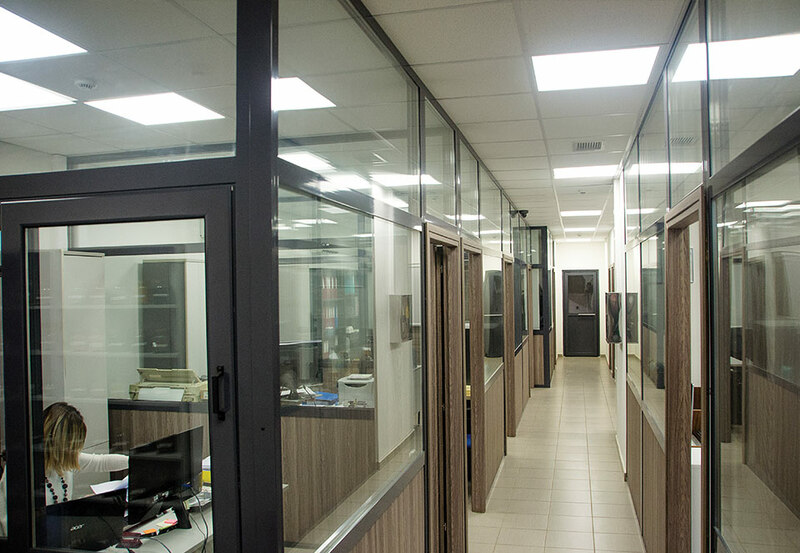 Based on international quality standards in production and service, we have been consistently supplying our products to our customers in Greece and abroad. By winning their trust, we maintain long-lasting partnerships through a neat, friendly and open way of communication. 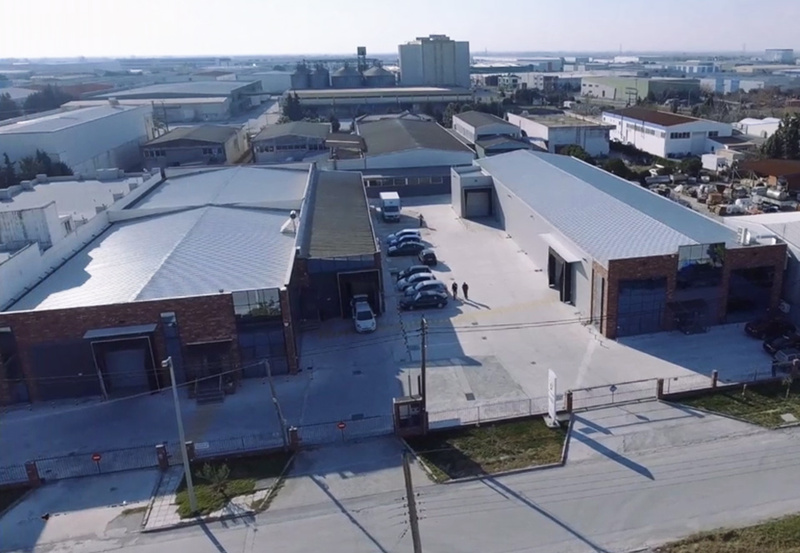 Our company is housed at a modern privately-owned area of 3,000 sqm in the IA of Sindos, which includes, among others, the production area, the warehousing, the quality control area, and the seminar/kitchen room for education and the presentation of any new products. 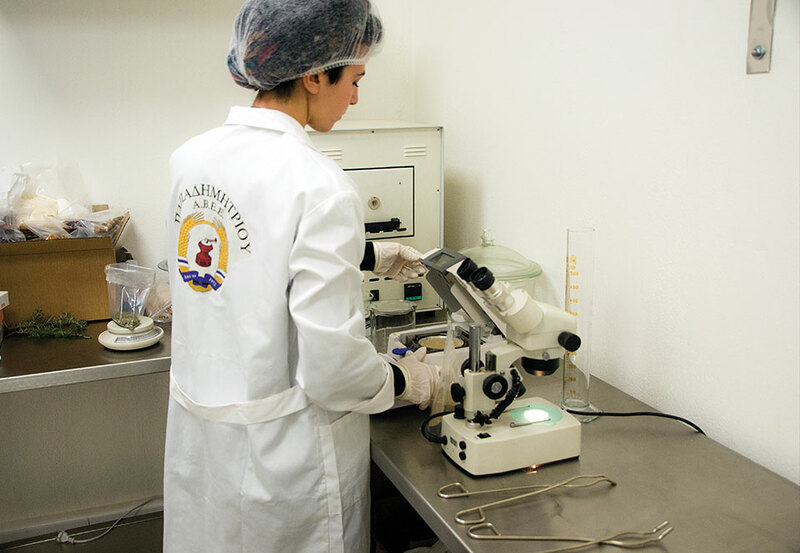 Our trained staff can guarantee the quality of the processing and management of the products, the continuous exploration of new technologies, as well as the timely and complete service of our customers. 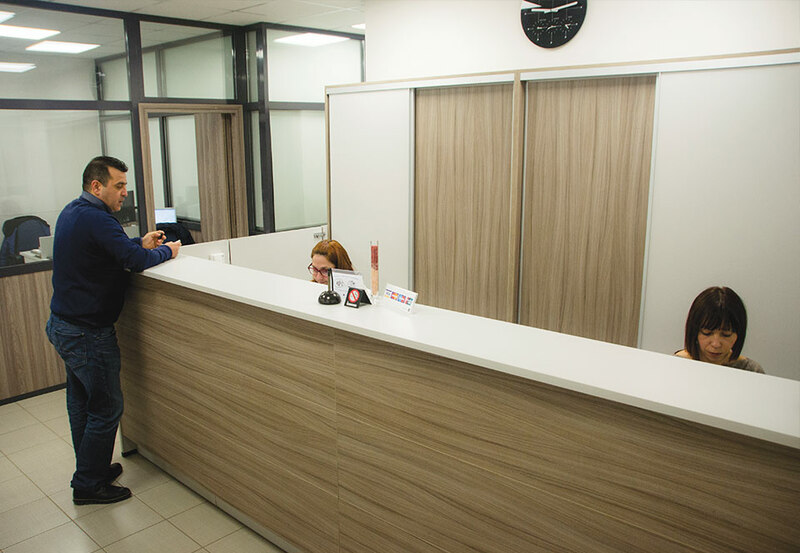 The trust that exists between the employees of Papadimitriou S.A., form a healthy working environment that is definitely displayed in our relationships with our partners and customers. Our company’s main focus is to ensure the quality of the products it manages. 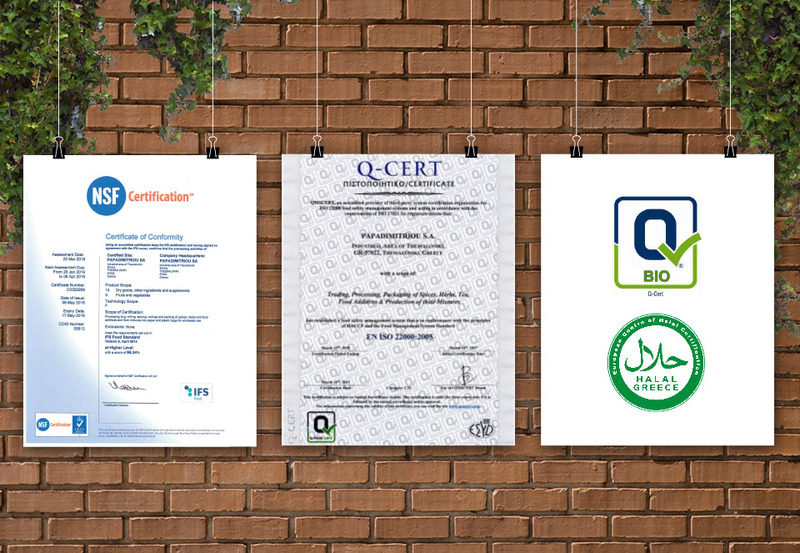 In compliance with the hygiene and safety rules, we have developed and implemented Food Safety Management System according to EN ISO 22000: 2005, I.F.S. and HALAL. Papadimitriou S.A. also holds a certificate of disposal of organic products. 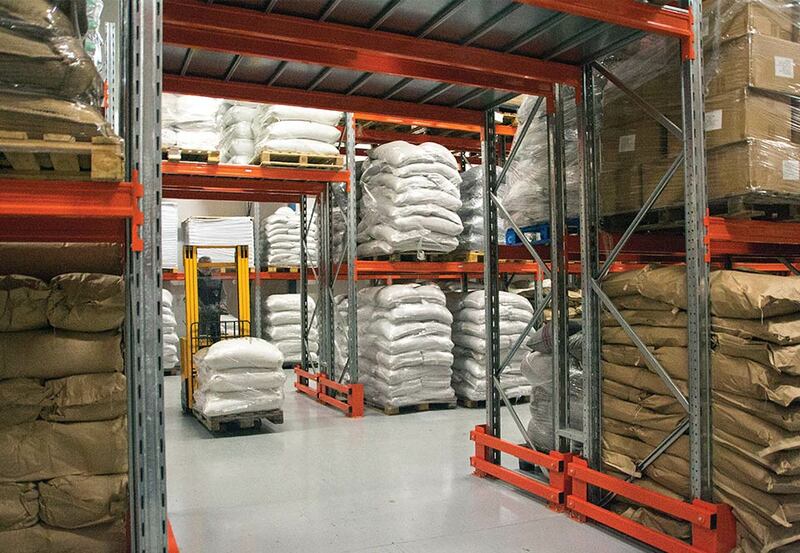 Our long-term agreements with selected foreign firms and the careful assessment of our suppliers, achieve the high quality product ranking levels, that are in line with our customers’ requirements. The modern food industry is a field that requires our own vigilance and improvement. With us aiming to be at the heart of the evolution, our workshop is constantly conducting researches about new products, new technological media and improved production process. Copyright © 2019 Παπαδημητρίου Α.Β.Ε.Ε.. ALL RIGHTS RESERVED. Designed & Built by Entropia. Powered by Cherry Plus.